The clue is really in the name. If you look up ‘gin’ online in the Oxford dictionaries it will tell you that it is a ‘a clear alcoholic spirit distilled from grain or malt and flavoured with juniper berries.’ The word gin itself comes from the Dutch genever, and the variant of this, jenever, means juniper. The EU regulations (EC No. 110/2008) list 3 types of gin: Gin, Distilled gin and London [dry] gin, all of which state that gin is ‘a juniper-flavoured spirit drink’. So far then, what have we? Gin is clear and tastes of juniper. Yes? Well, no. It often isn’t and doesn’t. Not any more. What we have, frankly, is a baffling array of alcoholic drinks all now gathered under the ‘gin’ umbrella, a very high number of which are coloured and do not taste of juniper. Now these drinks can be very nice; they look attractive with their myriad colours and often have a sweet taste which appeals to many. I would suggest, however, that these types of alcoholic drinks are more akin to a liqueur-type drink than a gin. Moreover, some gins, quite often the coloured ones, have quite a low ABV – perhaps only 20% – and here we run into another problem of definition. Going back to the EU regulations, (sorry – only briefly!) the requirement is that the ‘minimum alcoholic strength by volume of gin shall be 37,5 %’. The thing is, we now have gins that are not clear, do not taste predominantly of juniper and do not have a minimum ABV of 37.5%. But does any of this matter? So what, I hear you all cry! There are some great beverages on the market and we are happy to try them and drink them whatever they’re called! Well I think it does matter. 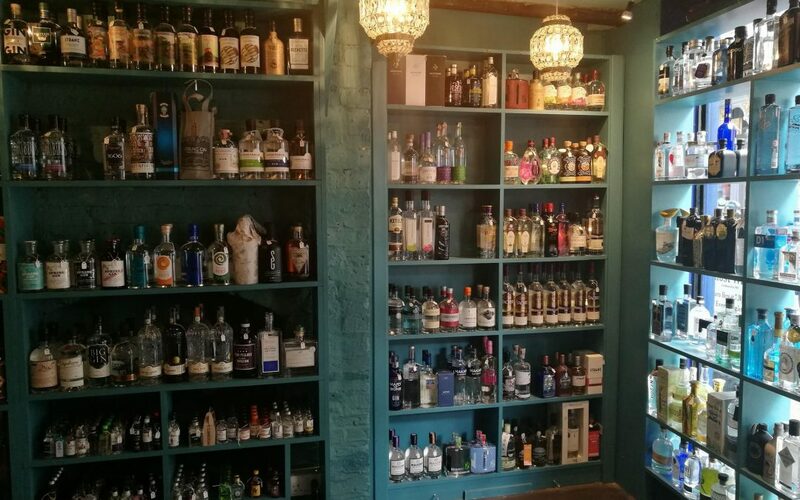 With such a huge choice of spirits facing the consumer, all purporting to be gin, how is the customer, the gin-enthusiast who is looking for bona fide, authentic gin, supposed to be able to pick his or her way through the ever-growing selection in front of them? 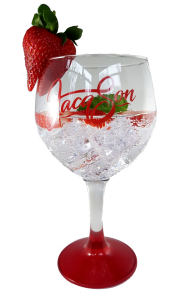 As a distiller I currently produce 3 gins – Original, Strawberries & Cream and Star Anise & Chilli. I have recently come under some pressure to colour my Strawberries & Cream gin as it has been suggested that a pink colour would make it more visually appealing. I did actually consider this. After all, I want people to try my gins and enjoy them, and I believe that the aesthetic appeal of food and drink is very important. However, if I did do this it would go against my personal ethos at Jacqson which is of trying to produce original and genuine juniper-led gin, while adding hints and nuances of exciting new flavours. So all my gins remain clear, predominantly juniper and 42% ABV. I am watching the ‘Call time on fake gin’ campaign launched by the Haymans distillery recently with interest (http://www.haymansgin.com/fakegin) and certainly agree that ‘the future of gin should be protected.’ I am not sure what the answer is; do we need a new category to differentiate between what is and what isn’t gin? Maybe. What I believe to be of utmost importance is that consumers should have full knowledge and so can make an informed choice about their drink, whatever their preference. Picture: Evil Eye Gin Shop, York.